Stay on top of developments with award-winning Benzinga News Pro. An IQFeed data subscription is required. If you are serious about trading and need real-time access to the news that moves markets then Benzinga Pro is a realistically priced and extremely fast news service that is designed by traders for traders. 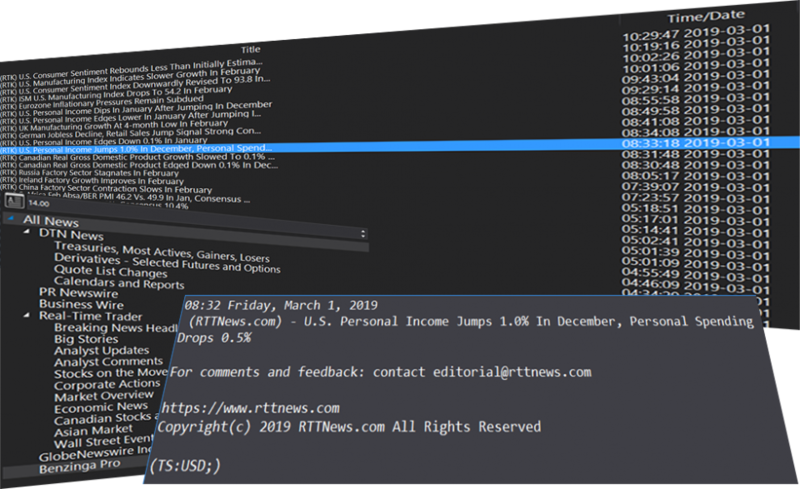 The Benzinga Pro news feed is included with the IQFeed streaming data package and underlies the Premium News service inside the S-Trader desktop platform.